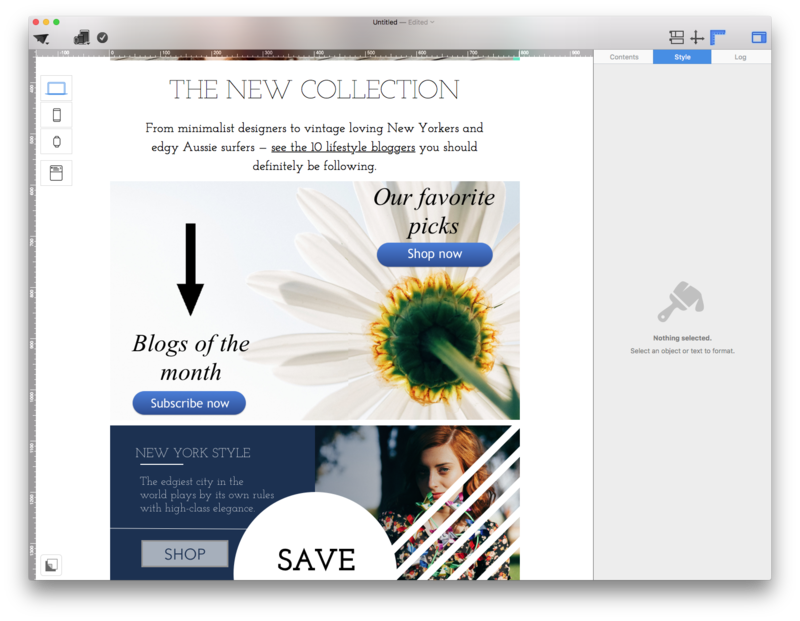 Mail Designer 365 allows you to format link styles to make your links stand out in your email design. 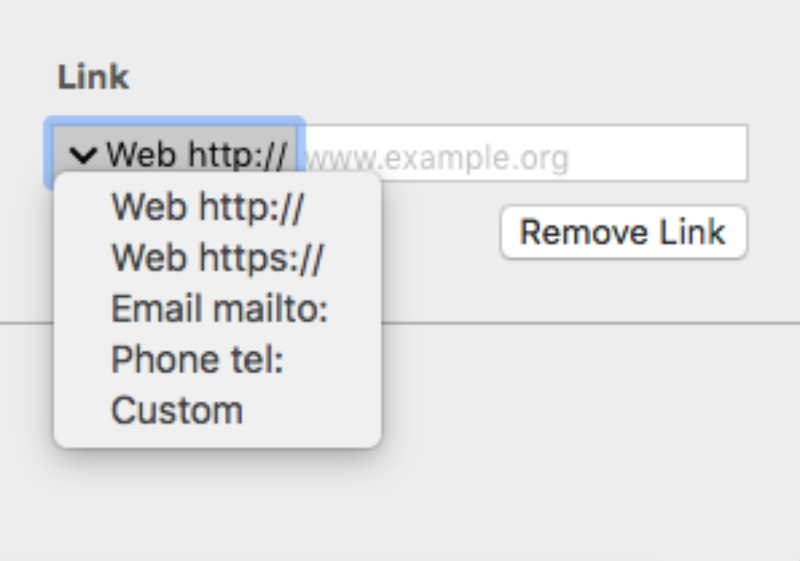 To get started, highlight the text which you want to link and add the link address under “Add link” in the “Style” menu. You will now see a standard, blue link. To format this link, scroll to “Link style” in the “Style” menu. Here you can format the color and the style (e.g. bold, italic, all caps) of your link. 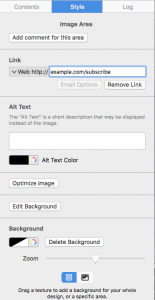 To just change the style of one particular link, highlight the link and go to “Emphasis” in the “Style” menu, where you can then change the stye and color. 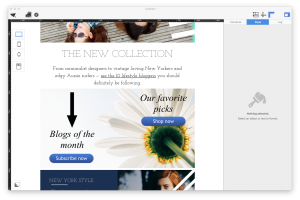 You can create consistent and visually impressive link styles in Mail Designer 365, so that your links will also stand out in your design. Let’s get started! 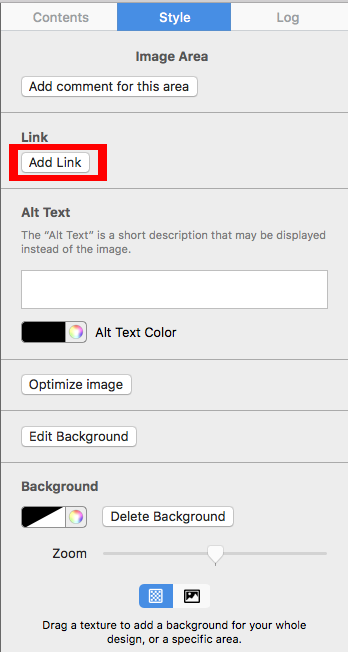 To get started, highlight a section of text you want to link to and add your link address under “Add Link” in the “Style” menu. Now you will have a standard, blue, underlined link. 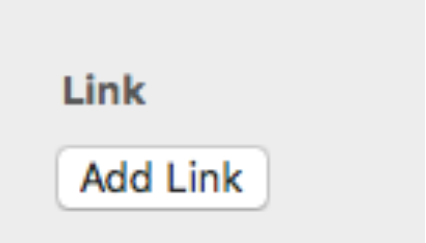 To format your link, head to “Link Style”, which you will also find in the “Style” menu. Here you can format the color and style of your link. 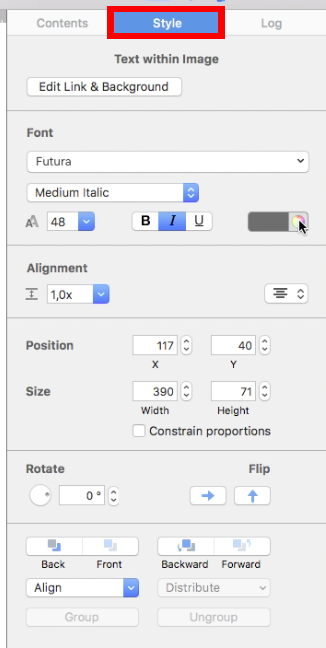 You can choose from bold, italic, underlined, strikethrough, and all caps. To edit a specific link and diverge from the style of your other links, you can configure this under “Emphasis” in the “Style” menu. One image area only allows you to add one link. Remember, one image area only allows you to add one link. Even though you can have different graphic elements within one image area, the entire image area will only link to a single destination. 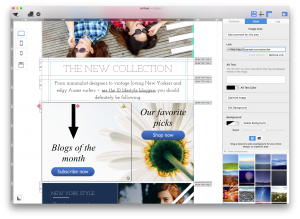 When you send your email templates, an image area with different elements will be rendered as a single image. This is why you can only add one link within one image area. 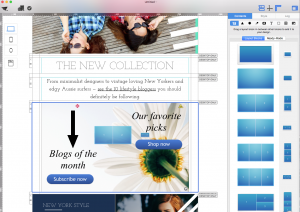 In order to add different buttons with different links, you need to use a layout blocks with multiple image areas. 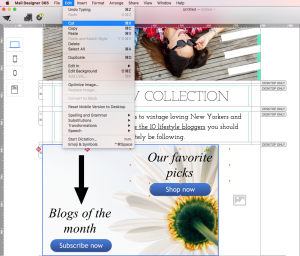 Within Mail Designer 365, you have multiple choices of different layout blocks with multiple image areas. 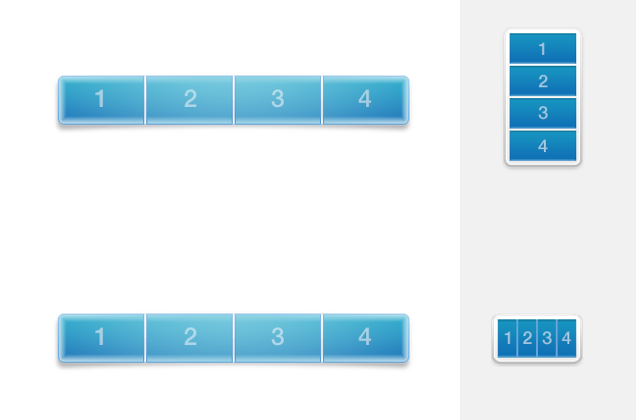 You can choose which layout you want. 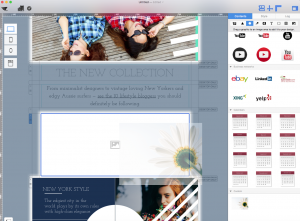 Within each image area, you can add a single link. Therefore, you have the freedom to add a button with a unique link within each image area. 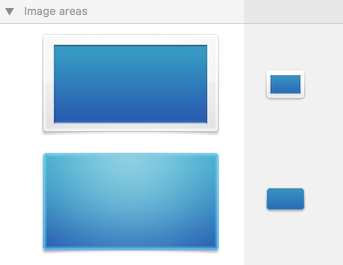 The different image areas will be rendered as their own individual images. 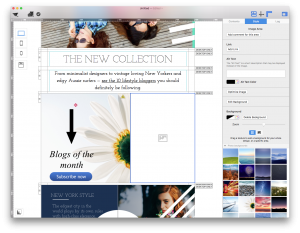 When the email template is rendered, the four different image areas will become four different images with their individual links. What can I do within an image area? 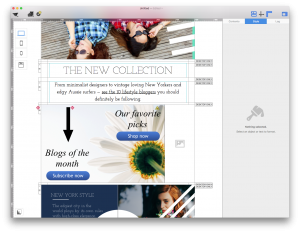 With Mail Designer 365, you can add a background image or texture. 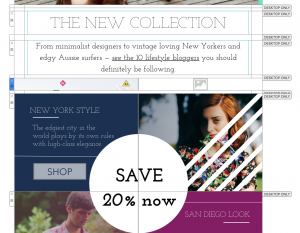 You can also add multiple different graphic elements together within one image area. You can combine multiple shapes and texts and scatter them around within an image area. However, you can only add one link per image area. 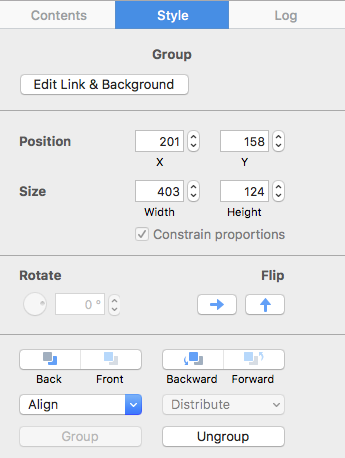 You can add a link by double-clicking a graphic element or the background of the image area. 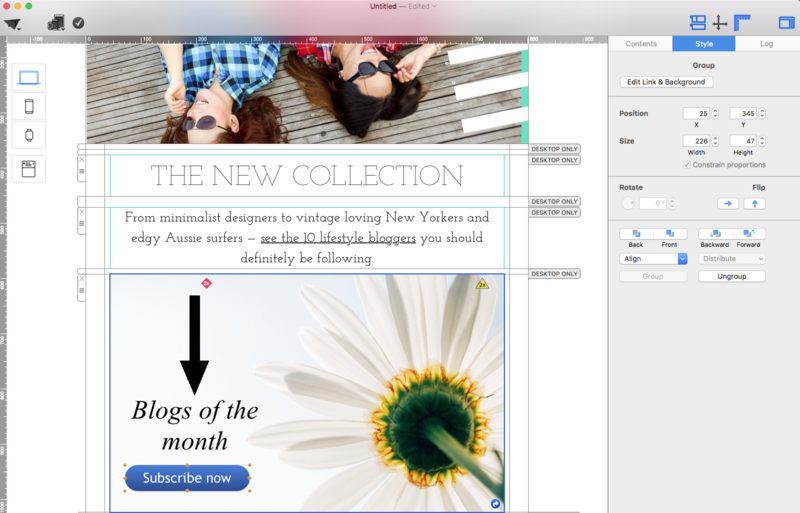 Then, go to the style section and click “Edit Link & Background.” You can add the link to your landing page. 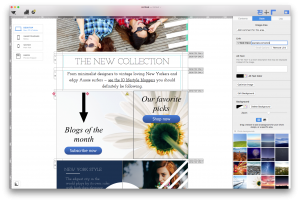 When your email templates are rendered, an entire image area will become one image. This means that when you send your email designs, all of the graphic elements that you add within one image area will be combined and turned into one image. As a result, the link that you add will apply to the entire image area instead of a single element. 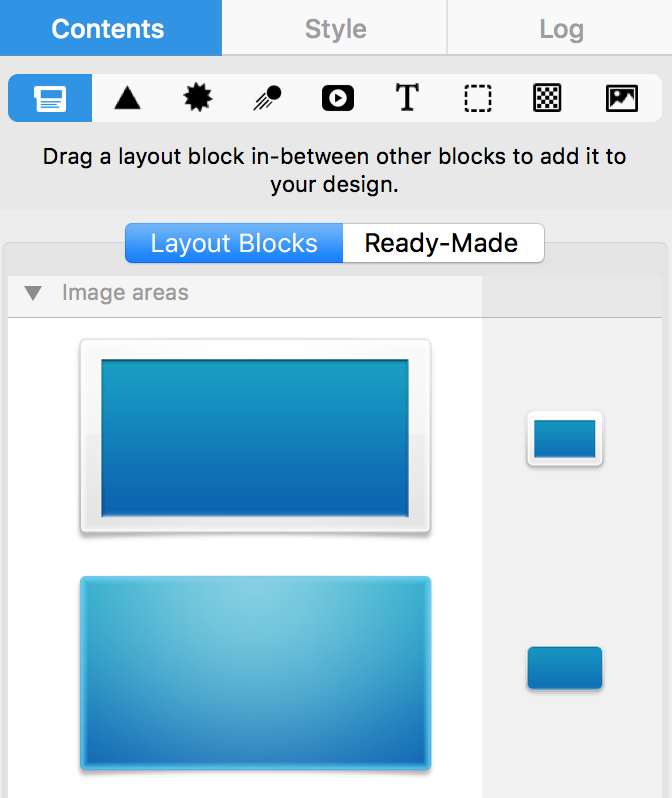 If you want to add multiple links or multiple buttons that lead to different landing pages, then use layout blocks with multiple image areas. This way, you can a different link within each image area.